It is a daily battle as parents juggle baby, shopping and dismantling of their stroller to get into a taxi. The dilemma every parent faces is - should you put your baby in the car and dismantle the stroller, give your baby to the unknown taxi driver or request he dismantles your stroller? The natural decision for all parents is to ask the taxi driver to dismantle your stroller as you look on and find them struggling to figure out how. Tuesday 7 July, Baby Jogger is holding The Great Stroller Challenge where they will determine which stroller is the preferred stroller for taxi drivers and the must-have stroller for city living. Over 40 taxi drivers will participate in dismantling several strollers to see which stroller is the fastest and easiest to collapse and place in their boot. After completing the challenge, they will be asked to vote on their favourite stroller for ease of use from their point of view. 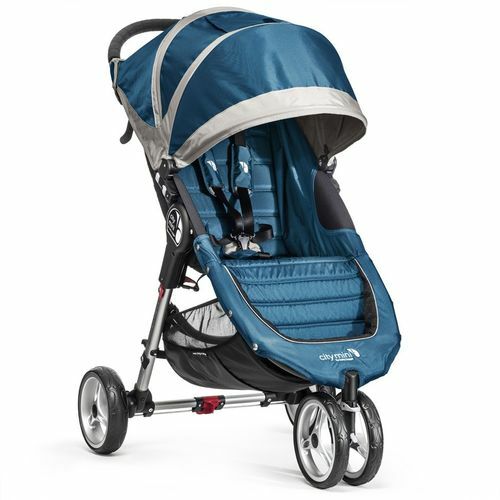 “Baby Jogger is committed to being the most forward-thinking creator and leading manufacturer of strollers and joggers. Baby Jogger strollers revolutionized the market by offering a vast array of innovative features – from easy-to-manoeuvre swivel wheels for urban use to fully suspended 16 inch wheels for high-performance functionality. All Baby Jogger strollers feature patented Quick-Fold Technology, which enables users to fold the stroller in one quick and easy step,” shared Carrie Edwards-Britt, Singapore distributor of Baby Jogger. “We hope the patented Quick-Fold Technology will make it easy for taxi drivers to dismantle the strollers in one quick and easy step so parents and taxi drivers no longer have to worry about the daily stroller struggle,” she said. Life is challenging enough to leave the house each day with little children to go and do simple tasks like the groceries or getting to work. Sadly with some unfriendly strollers many parents opt to stay at home or risk getting those peculiar stares by onlookers while they try to collapse a stroller that would almost need a mechanic to do so, while juggling to hold their child in their other arm. So if your stroller is more headache than pain relief, come on down, join the fun and watch as we determine which stroller is the easiest to use and which stroller will take out the award for the best stroller as voted by taxi drivers in The Great Stroller Challenge. You may even find a new replacement to stroll on through life a lot easier.